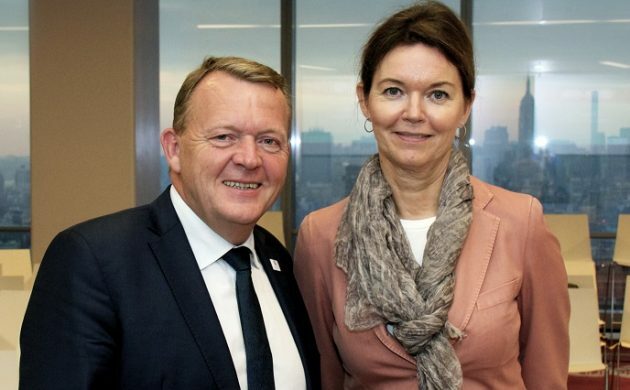 You might not have heard of Denmark’s Lise Kingo, but she is today one of the highest ranking women within the United Nations. 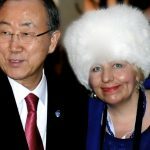 As the executive director of the United Nations Global Compact, she is charged with encouraging businesses worldwide to adopt sustainable and socially-responsible policies and to report on their implementation. 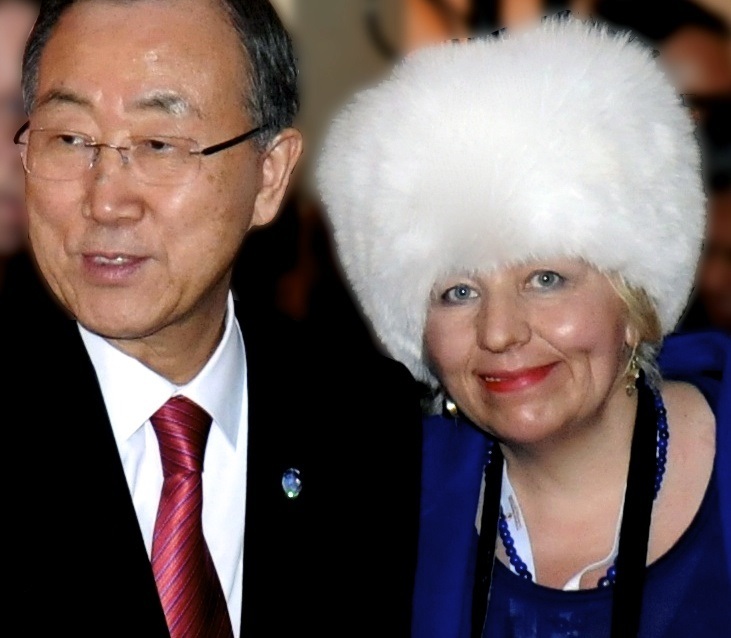 About one year ago, UN Secretary General Ban Ki-moon and her predecessor Georg Kell entrusted her with a major task: transforming the global economy in order to raise the 5 trillion dollars needed each year to save the planet. Mission impossible? – not for this Danish optimist! “Our vision is to mobilise a global movement of responsible companies and organisations to make the UN goals come true,” Kingo tells CPH POST in an exclusive interview at her spacious corner office on Third Avenue in New York. She smiles confidently. Supported by a highly-motivated, highly-skilled team of 80 employees, Kingo runs a tight ship. “We have to get everybody on board,” she says. The clock is ticking: three planets are needed to meet human consumption by 2050. Sustainable businesses need to take the pressure off water, food, people, energy and the ecosystems. “Many, many companies today understand very well that it is good business to be a responsible business,” Kingo contends. This sounds like good news but isn’t this just greed painted green? “No, there is a profound change of mindset going on in the boardrooms,” Kingo observes. What caused this change? Most companies used to focus on short-term profits and refuse to be charged for market externalities such as the pollution and global warming they cause? “You cannot compromise”, Kingo warns. The transparency, lightning speed and global reach of the internet and the power of the social networks, as well as a new generation of consumers who aggressively sanction irresponsible conduct, have changed the game. 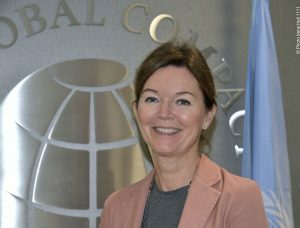 “It is much better to talk in the open about your challenges and to follow the UN Global Compact principles that include the environment, labour, human rights and good corporate governance,” Kingo recommends. The banner of the UN is blue. Are ‘blue investments’ – investment in the UN principles – rewarded by the markets? “Yes. Some years ago we created our own stock index: the Global Compact 100 Index. It is a representative group of 100 UN Global Compact companies. They are selected based on the implementation of the ‘Ten Principles’ and evidence of executive leadership commitment and consistence,” explains Kingo. Chaired by the UN secretary-general, the UN Global Compact hosts the high-level Private Sector Forum every year during the UN General Assembly in New York in September. In the packed delegates dining room, heads of state such as German Chancellor Angela Merkel, French President François Hollande and Canadian PM Justin Trudeau mingle with global business leaders and top-class personalities such as CNN founder Ted Turner and fellow billionaire Mark Zuckerberg, the founder of Facebook. Hollywood stars such as Leonardo DiCaprio and Arnold Schwarzenegger, who now fights global warming as ‘Green Terminator’, also use the UN stage to motivate business leaders to commit themselves to the UN goals. In this igniting atmosphere of star, business and political power, CEOs recognise that their power for good opens a window to world history. During lunch with the UN secretary-general, Martin Sorrell, the founder of the billion dollar advertising giant WPP, committed himself to launching ‘Common Ground’, a major campaign of the six biggest advertising companies in the world to support the Sustainable Development Goals. Denmark is one of the smallest member states, but nevertheless one of the most important supporters of the UN goals. Copenhagen is one of the very few cities with its own UN Headquarters. Kingo is strongly supported by Danish PM Lars Løkke Rasmussen, Realdania CEO Jesper Nygård and Erik Rasmussen, the founder of MondayMorning/Sustainia with whom the UN Global Compact has recently created a common platform for global solutions. “We want to be the ‘North Star’ for the economy,” Kingo envisions. 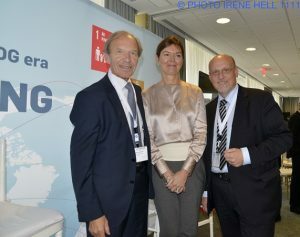 After a career as executive vice president of the pharmaceutical company Novo Nordisk, her radiant personality and her irresistible Danish optimism help to ignite constructive competition amongst the UN Global Compact member companies to deliver the biggest contribution to a global ‘Blue Economy’. Kerry Adler, the founder and CEO of SkyPower Global, is about to provide 1.3 billion people in developing countries with solar power; Deutsche Telecom and Turkcell are providing internet access for refugee camps; Vestas is building wind farms in Africa and Jordan; and Nestlé funds women in the Ivory Coast in order to enable them to make a good living as cocoa farmers. Unilever is about to halve its environmental footprint by 2030; in Germany, TÜV Rheinland is offering training positions for refugees; the Bosch Group provides land to municipalities in order to construct housing for refugees; and Siemens, transformed from ‘sinner to saint’, finances anti-corruption training in Colombia. The more than 80 regional UN Global Compact networks are very active. In October, the Pearl Initiative, in co-operation with the UN, organised a major conference to support the UN goals. About 200 CEOs made major commitments. For example, the Abraaj Group, a leading investor operating in global growth markets with 10 billion US dollars in assets under management, is strongly supporting the Pearl Initiative and the UN goals. Abraaj is a member of the UNPRI, and its CEO Arif Naqvi is a board member of UN Global Compact. Naqvi’s Aman Foundation and the Bill & Melinda Gates Foundation are partnering on major health initiatives in Pakistan. UN Global Compact founder Georg Kell believes in her success: “Lise is deeply committed and she has a profound understanding for business,” he tells CPH POST. After 25 years in leading UN positions, Kell has now joined the Anglo German Asset Management firm Arabesque in order to mainstream sustainable investing aligned with the UN goals. In September, he was appointed by Volkswagen as a member of its newly formed ‘Sustainability Council’ – a much needed initiative to recover from the diesel-dilemma. Together with the UNEP (United Nations Environmental Programme), Kell initiated PRI, the Principles for Responsible Investment. Now, after 10 years, the UN Global Compact sister organisation has persuaded 1,500 financial organisations to sign up for its principles of ethical conduct. PRI members represent over 60 trillion dollars of assets under management. “I think we are beginning to see significant transformations in the financial sector,” Kingo contends. Right after the historic adoption of the 17 Sustainable Development Goals by all of the UN member states in September 2015, Kingo hosted a remarkable press conference with Anne Stausboll, the CEO of CalPers. The California Public Employees Retirement System committed to cutting its portfolio of carbon emissions by 50 percent. Stausboll, UN Global Compact and PRI also rallied hundreds of other institutional investors – such as BlackRock, Pension Denmark and BT Pension Fund – to back the Climate Goals agenda . It would appear that trillion dollar assets are slowly but surely being shifted towards the ‘Blue Economy’. Vita Irene Hell is the founder of a German-based NGO, Friends in Media. Thanks to the support of high-ranking UN officials, Friends in Media is connected to more than 15,000 journalists. The mission of Friends in Media is to finance high-level media coverage of the UN Sustainable Development goals. The main focus is on supporting and empowering good leaders on a global level. Irene’s press agency Irene Hell News reports for international broadcasters and press agencies such as Deutsche Welle and UPI as well as major newspapers. Irene has a background in banking, a diploma in journalism, and previously worked for CNN and AP. Foreign aid: It makes us feel better, but does it work?